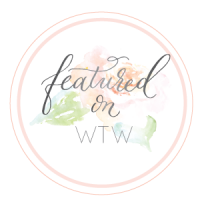 Hello my loves! 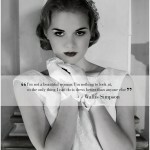 There is a gorgeous EXPLOSION going on today! 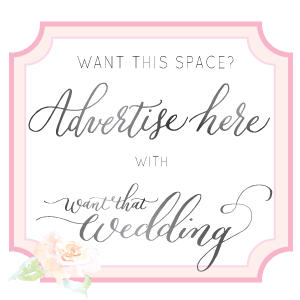 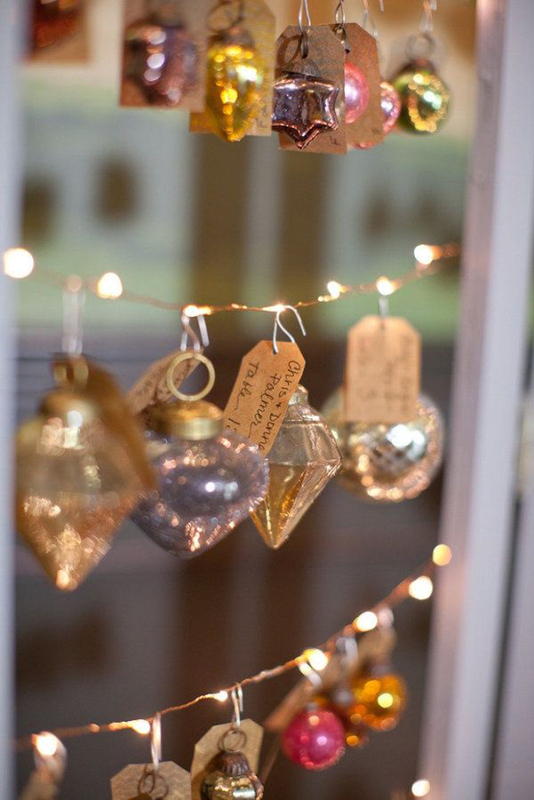 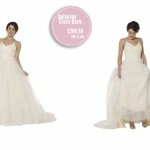 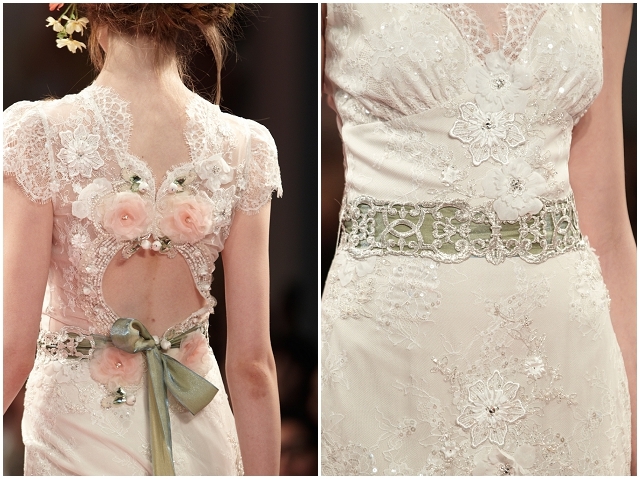 So much wedding pretty ~ it should surely come with a health warning, no?! 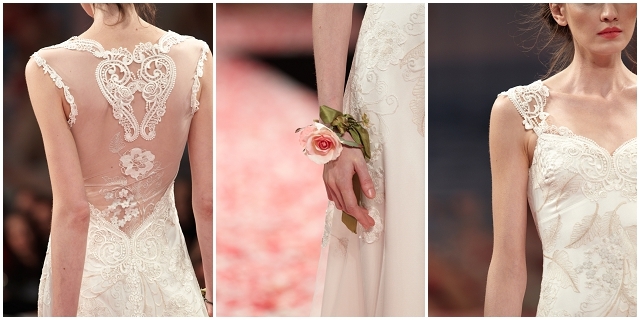 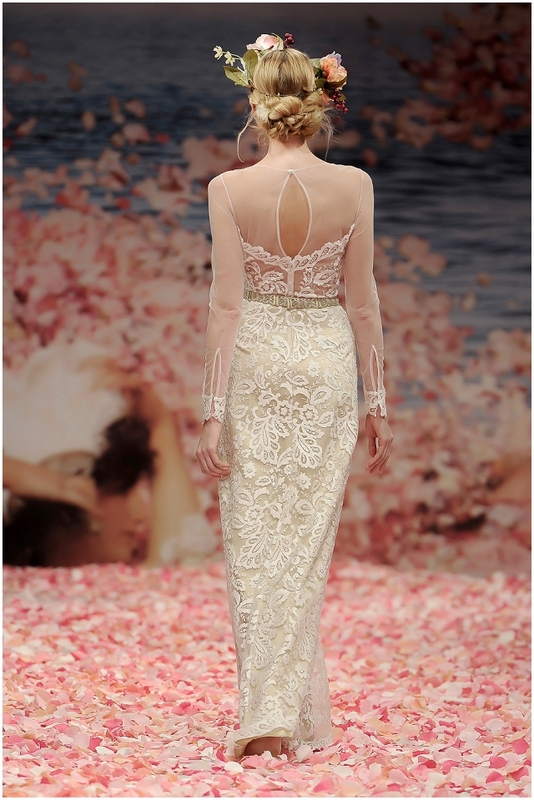 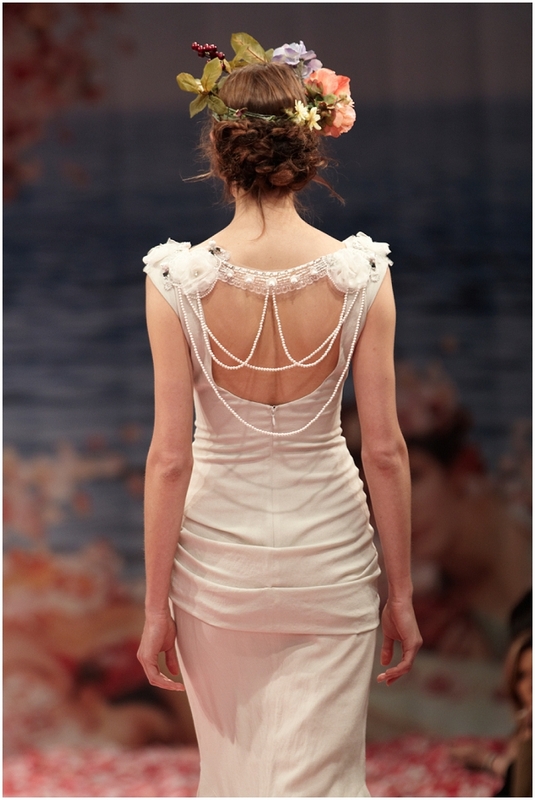 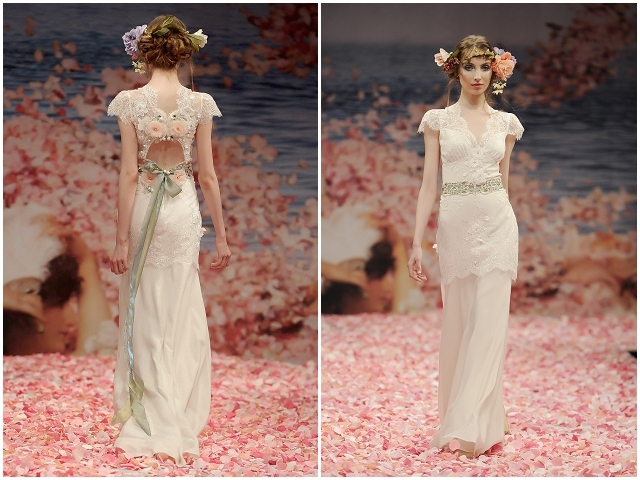 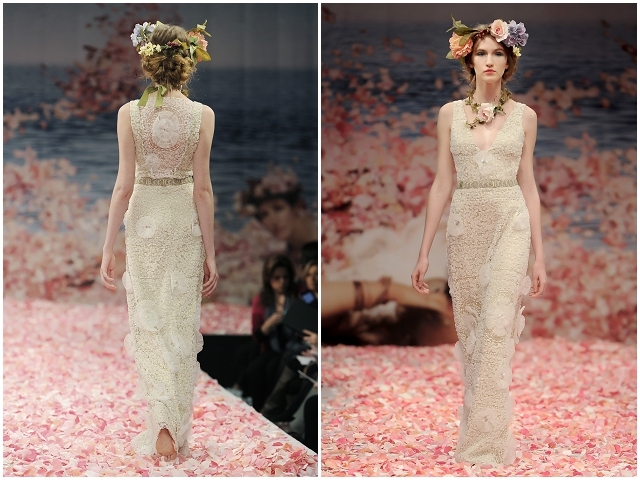 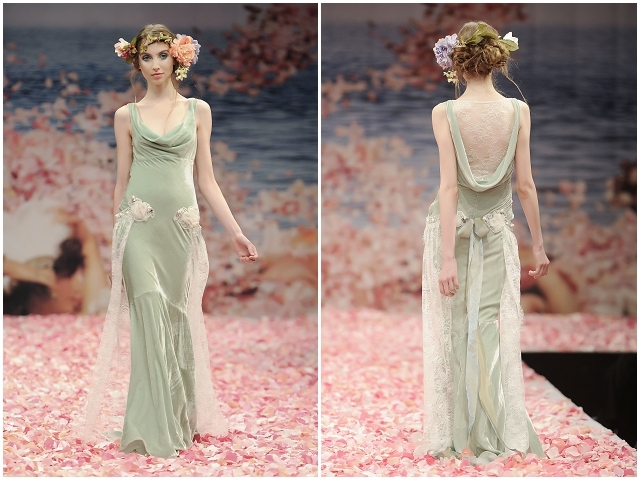 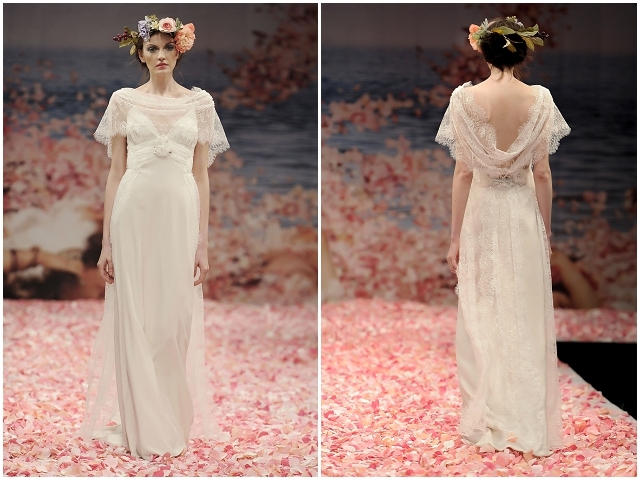 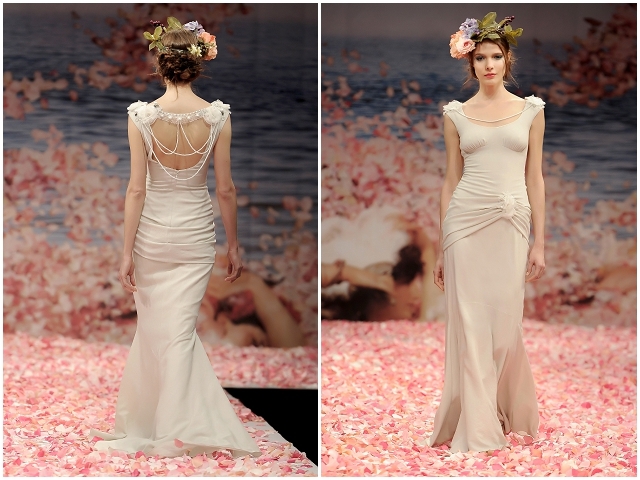 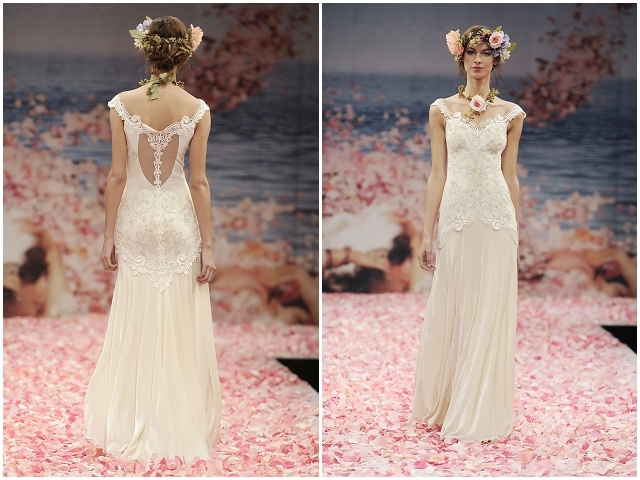 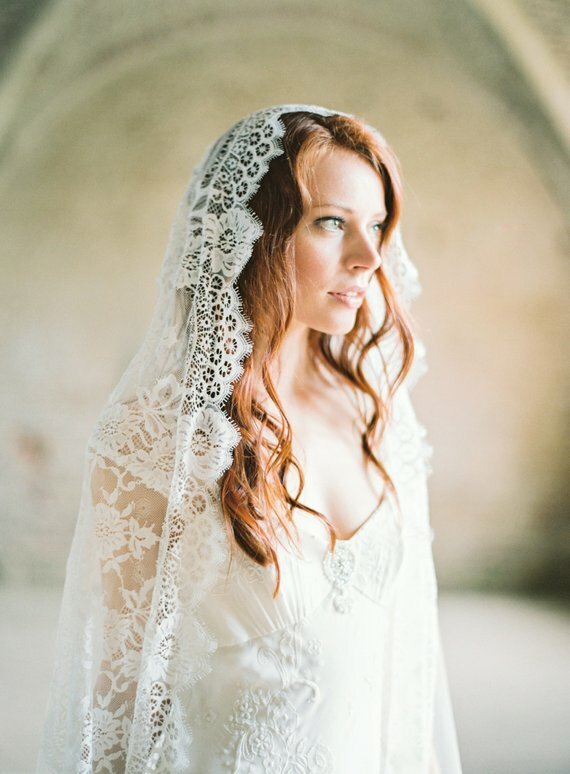 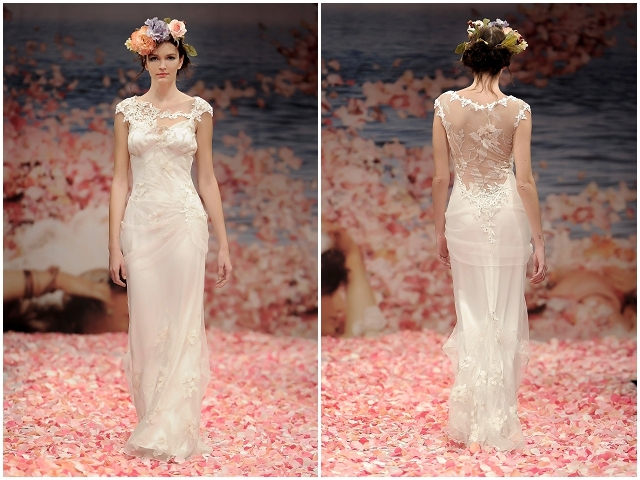 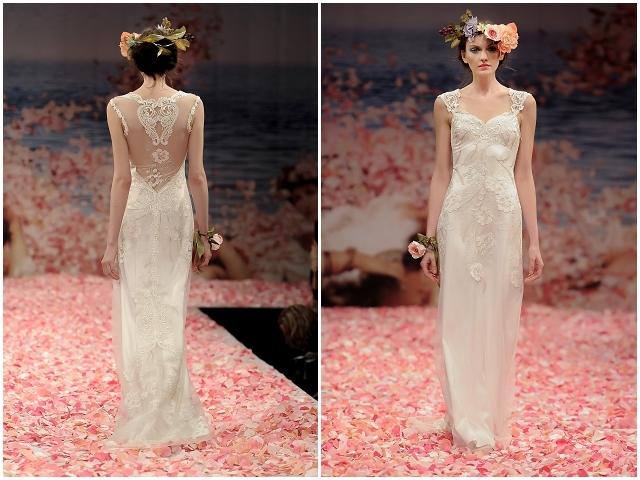 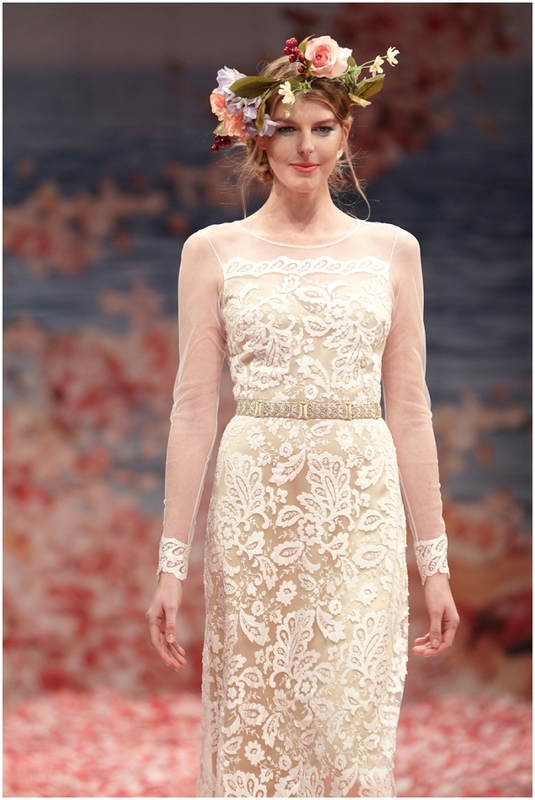 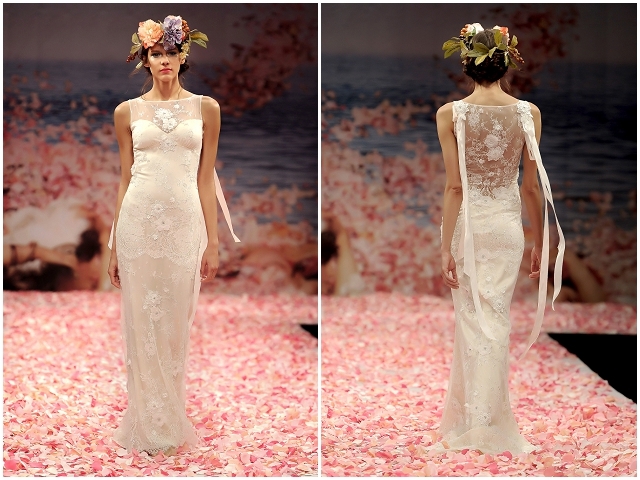 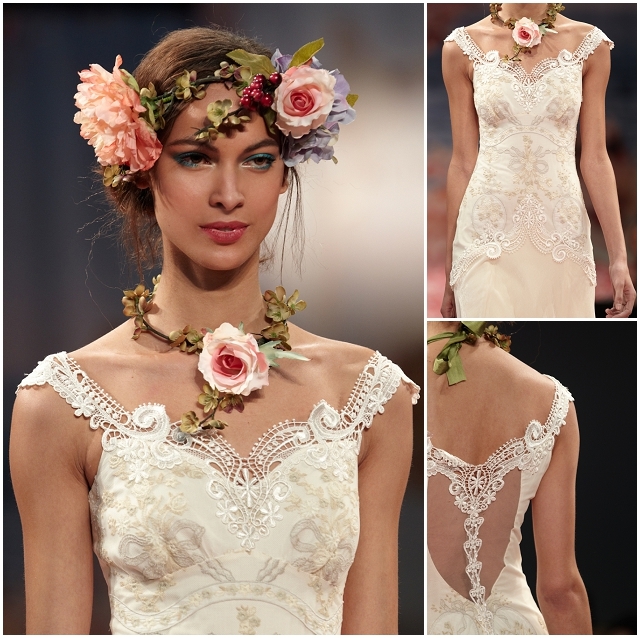 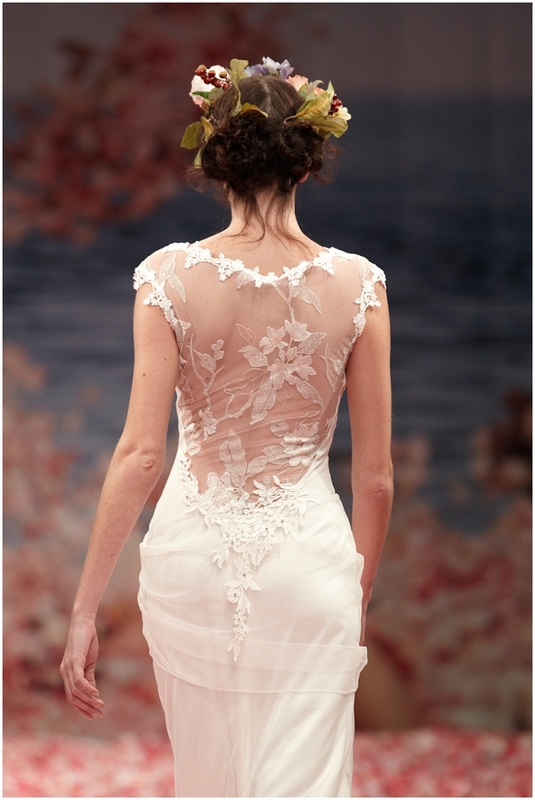 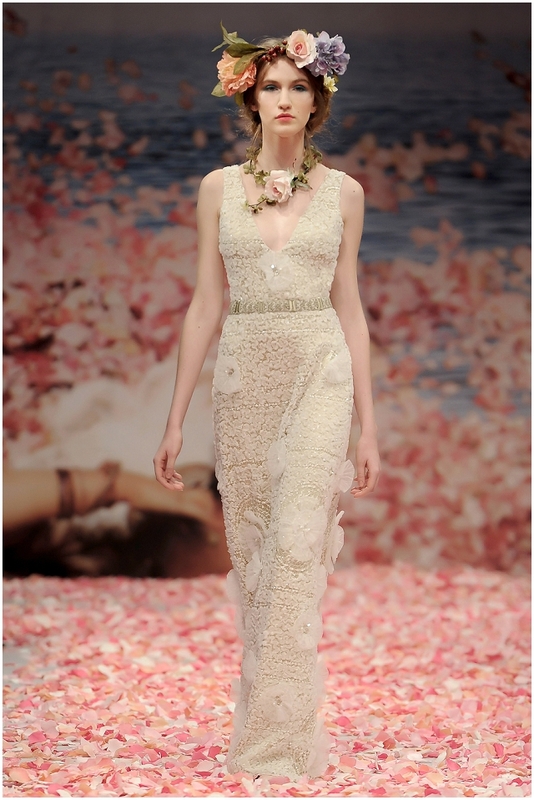 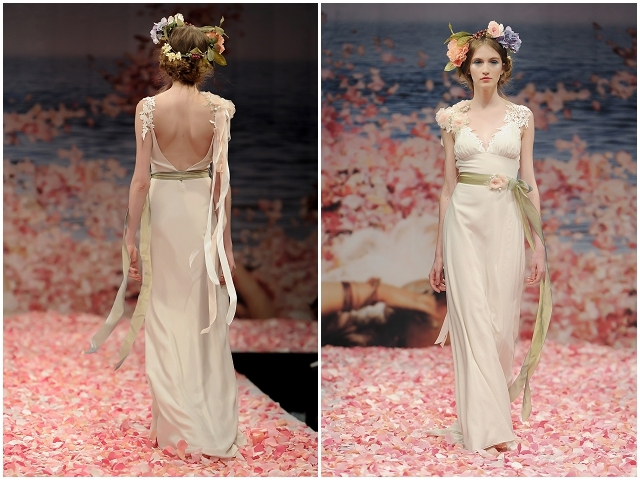 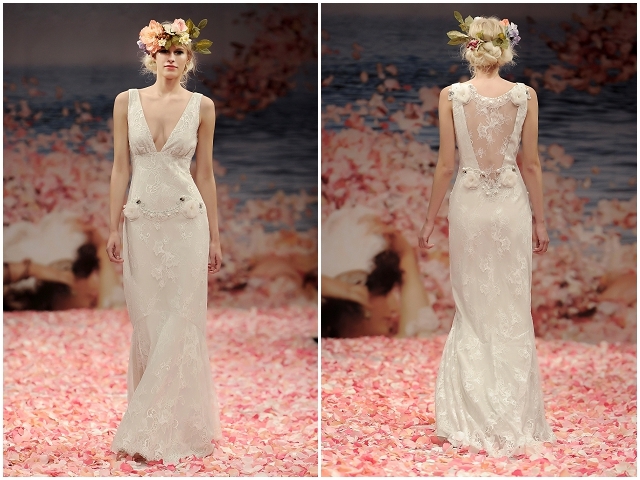 Claire Pettibone has done it again with her Spring 2013 Bridal Collection – Earthly Paradise. 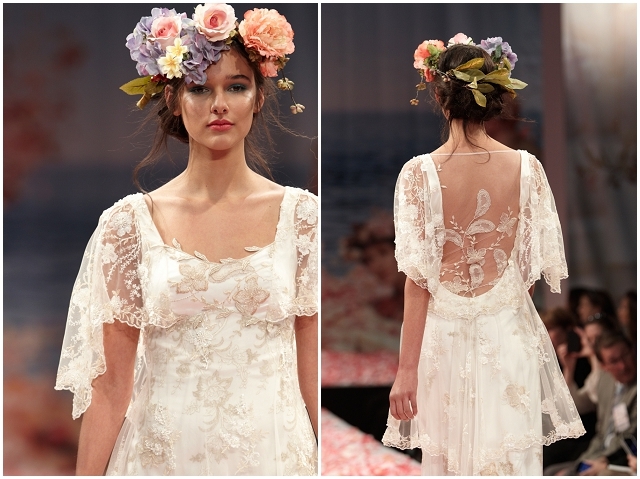 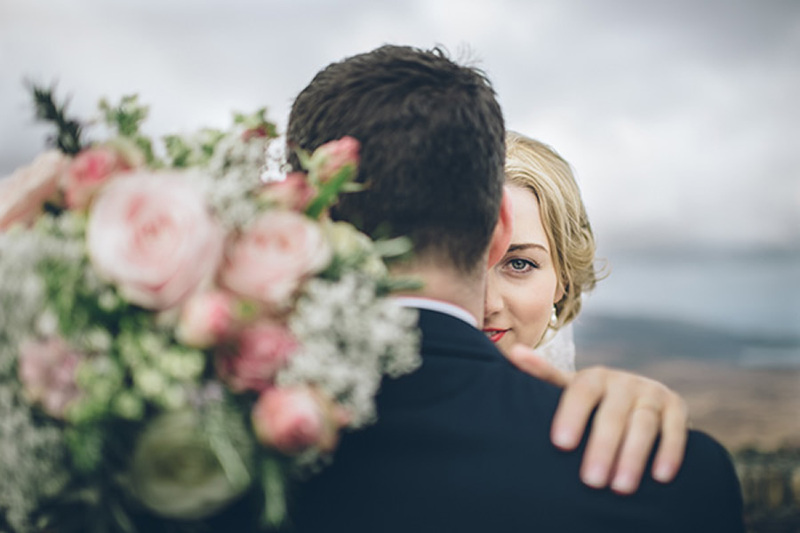 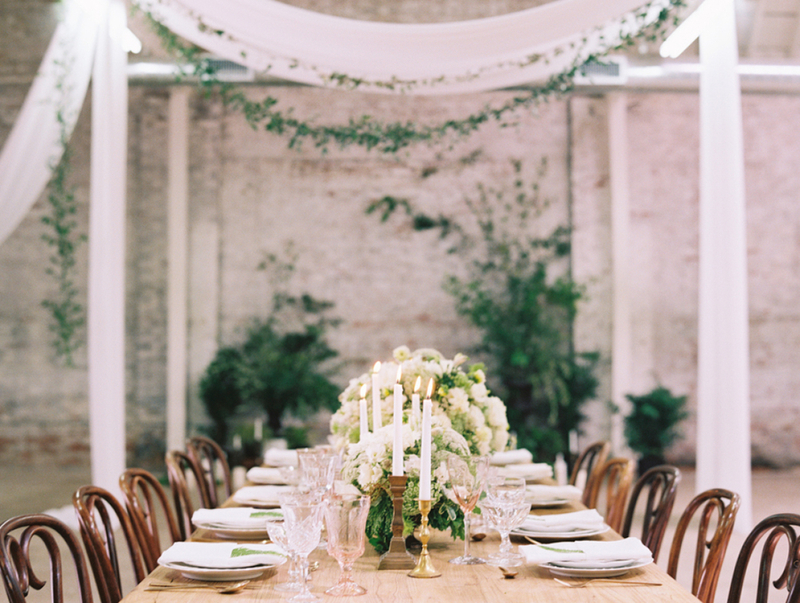 These images captured on the petal strewn runway of New York Bridal Week are stunning and Claire wowed the wedding world again with her signature bohemian wedding style. 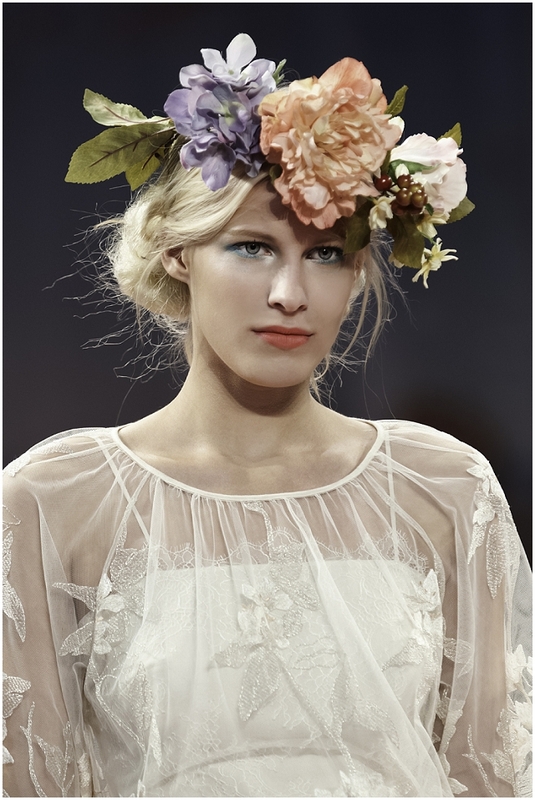 An army of ethereal beauties showcased Claire’s new spring collection, all looking wonderfully whimsical with gorgeous floral crowns, messy braids and bright pops of blue & green eye make-up. 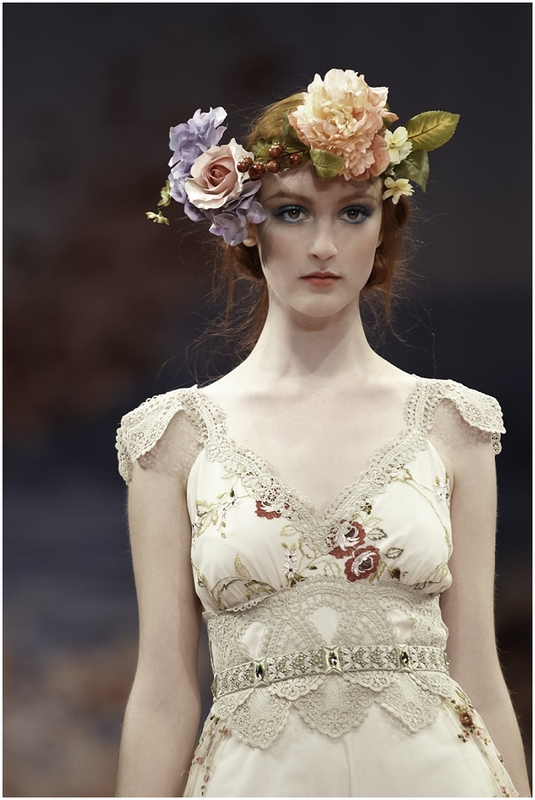 Dutch born Victorian artist Sir Lawrence Alma-Tadema painted scenes of languid beauties reminiscent of Roman deities, but his subjects are unmistakably human. 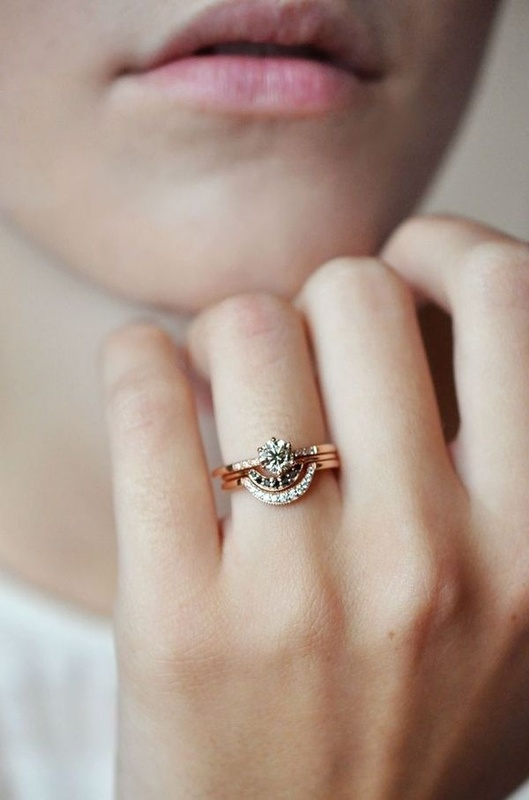 Caught in a moment of relaxation or idle daydream…we can almost feel the cool marble and the warm Mediterranean sunlight. 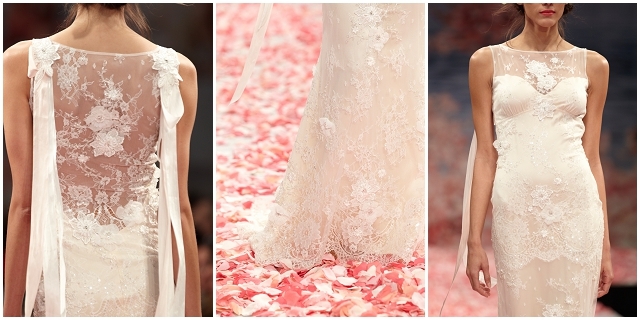 Elements of precious embellishment, sun drenched color and effortless luxury set the stage for our modern goddesses. 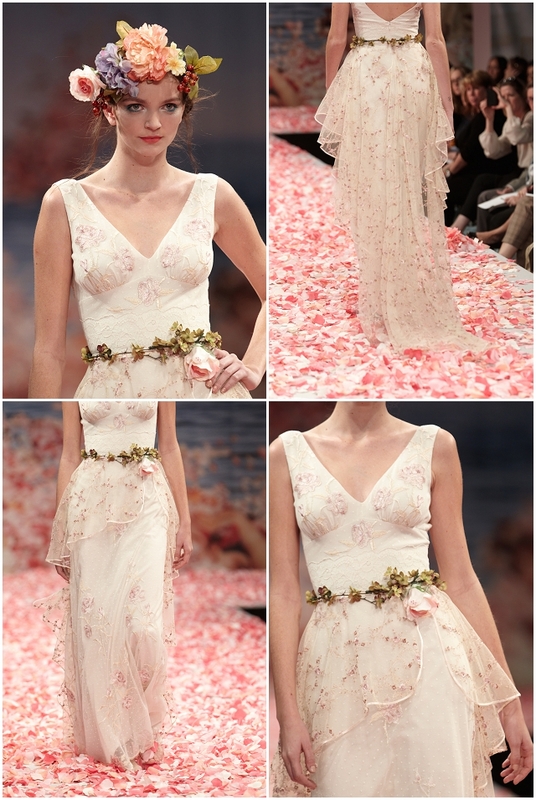 Any wedding dress in this collection would be perfect for a bohemian bride, whether you’re having an outdoor ceremony, a whimsical woodland celebration or exchanging vows in a beautiful French Chateau… In fact, these dresses would look gorgeous wherever you’re getting married! 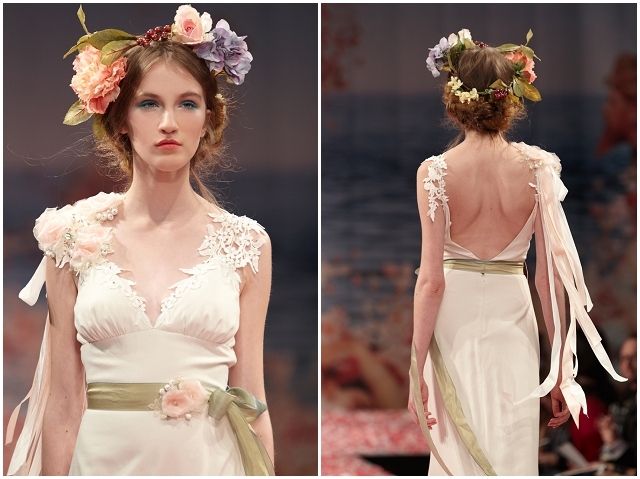 Sonia I have been gushing about this all week.. 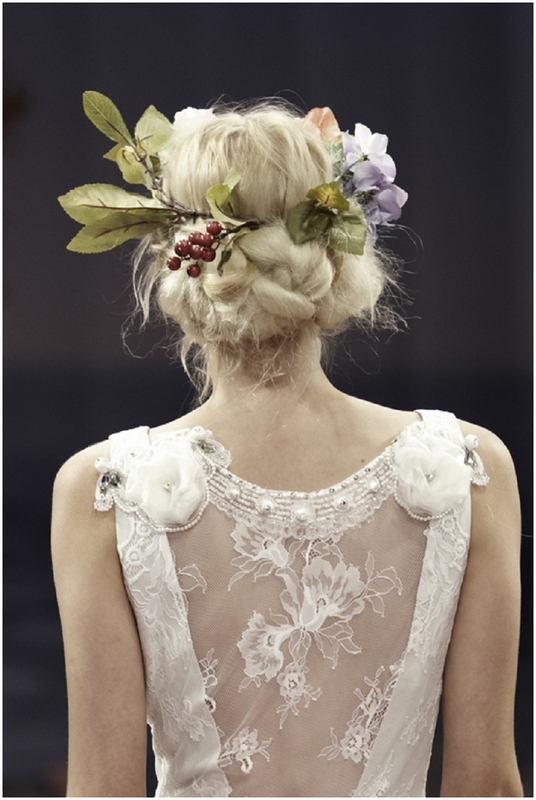 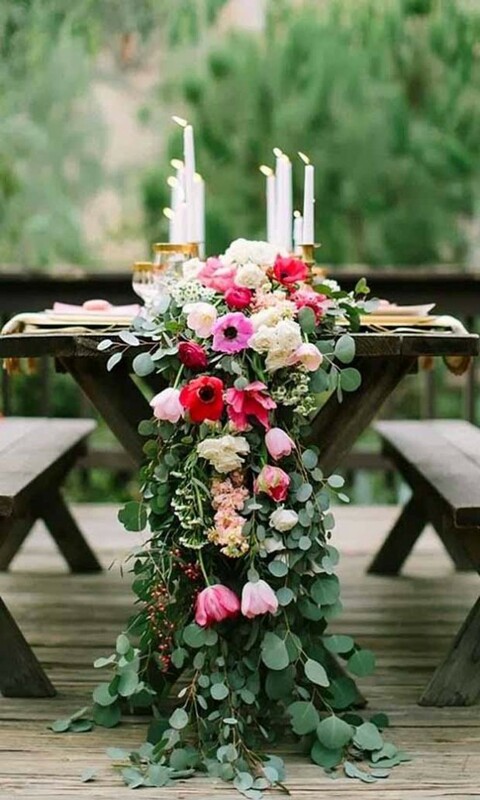 This is my inspiration for Summer 2013 for wedding flowers. 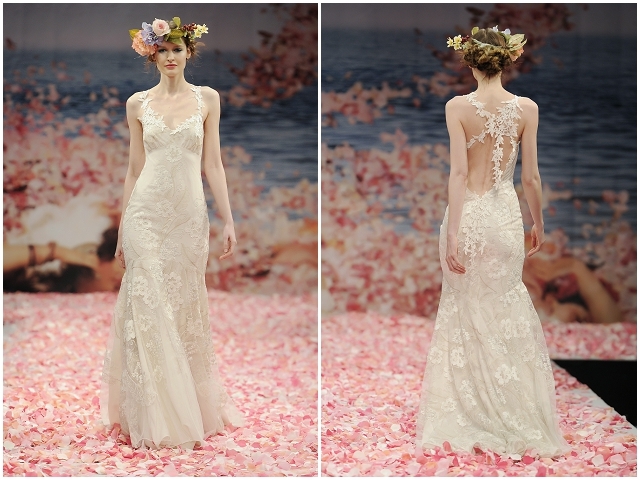 I cannot get enough of this show.